Hey everyone, I'm expanding on my Yoga for Athletes series with this newest 30 minute class specifically for surfers! 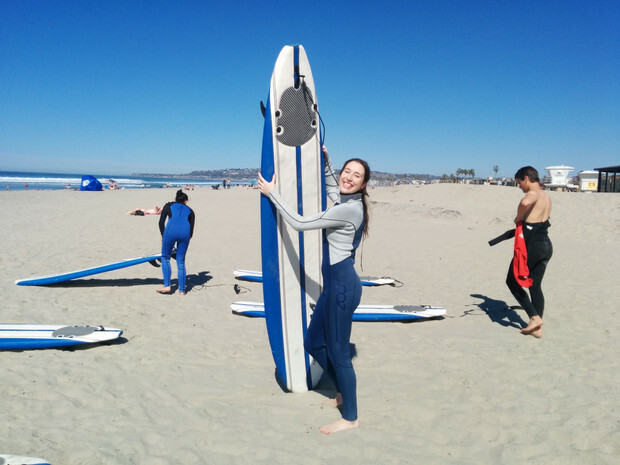 I recently travelled to San Diego, California and got the opportunity to go surfing! I was inspired to create a class just for those of you who love those waves. We will work on strengthening our back and getting into deeper backbends to facilitate pressing up and "gliding" on the board (I'm so sorry if I'm using that wrong). We will also strengthen our core and open up the hips and shoulders.